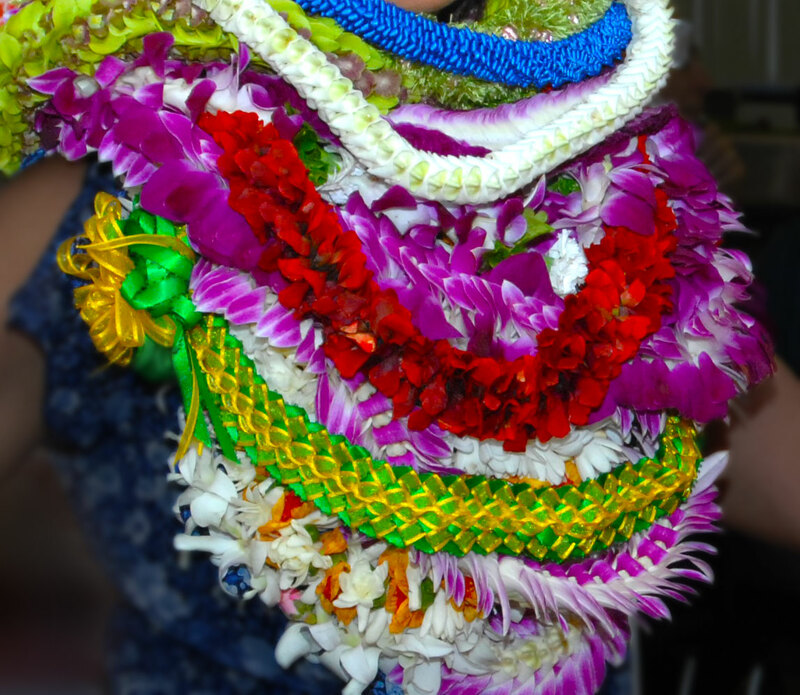 Welcoming our visitors with lei is an important tradition at Daniel K. Inouye International Airport. Since the 1940s, lei makers have sold their handmade fresh flower garlands at the airport. The lei are made from many kinds of flowers but the most popular are plumeria, orchid, carnation and pikake. 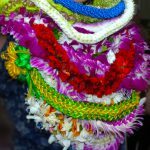 Specialty lei are also available. Orchid flowers are popular with those who like fragrance free lei. Today, 12 Lei Stands are located on the left side of the airport entry road before Terminal 1. The Lei Stands are generally open from 6 a.m. to 10 p.m.
Floral greetings may also be arranged with greeting services prior to arrival. For information contact Greeters of Hawaii, Ltd. at (808) 836-0161. Leis are also available from Florist shops and carts in the Terminals. In Terminal 2, shops are located near Gates F1 and F2 and between Gates E2 and E1, and near Gates E6 and E4, and from a cart that rotates through Baggage Claims 16 -31 as flights arrive. In Terminal 2, a Flower Cart is located at the bottom of the escalator near the Central Security Check Point.